SUPER PC | 4K | 9 Screens | Dynamic Video Wall Controller | Supports 3x3 | 3x2 | 4x2 | 2x2 | 2x3 | 2x4 arrays and more! SUPER PC Multiple Monitor Computers and Display Technology Superstore! True 4K 3x3 Video Wall Controller solution is now available! The #1 Most Complete, Affordable, and Professional Video Wall Solution Available! With the amazing new SUPERPC-VWC-3X3-4K Video Wall Controller, you can easily and seamlessly create a 2x2, 2x3, 2x4, 3x2, 3x3, 4x2, or 9x1 Video Wall Matrix, using virtually any Monitors, Displays, or Flat-Panel HDTV models that support an HDMI, or DVI cable connection (HDMI to DVI dongle adapters are not included). For best performance, we recommend using the same model for all of the displays in your video wall array! 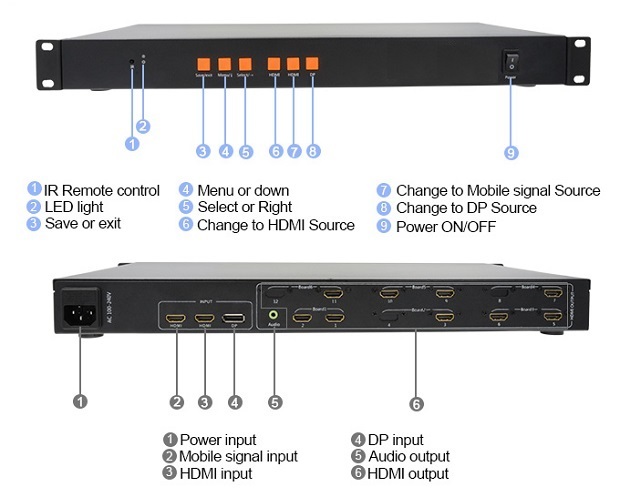 SUPER PC Video Wall Controllers are compatible with (and bypass all issues that would be created by) HDCP [High-bandwidth Digital Content Protection] encrypted video streams. Due to our innovative split/crop/upscale approach of creating a video wall array, HDCP blackouts will never be a worry for our customers. Our videowall controllers will always work with HDCP content, past, present, and future, no matter how many new versions are released! Other controller brands do not wrk with HDCP content, which would include Cable TV Channels, Blu-Ray players, Netflix, X-Box One, and just about everything else HD, besides custom created videos. While everyone else struggles to find the latest expensive HDCP Bypassing Adapter (when new HDCP updates are released), our customers will enjoy a hassle-free experience and continuous video streams throughout the life of their unit! Other brand users will be out of commission for months at a time, until the next fix is developed, and will be forced to pay hundreds of dollars for an additional hardware box added to the chain (which will also require more HDMI cables and power outlets). Save yourself the time, money and headache with a SUPER PC Video Wall Controller! We identified the common issues and solved them! It is truly a Stand-Alone Experience! This SUPER PC Video Wall Controller has a built-in media player function, allowing you to easily play most any video/audio files that you wish to display across your array (using only a USB thumb drive and the USB port Input on the Controller). Other brands require an input signal from an additional playback device, such as a Computer, or Laptop. Of course, this controller will allow you to connect to any computer monitor output, but also works great with Blu-Ray players, Android, X-Box, Playstation, Roku, Fire Stick, and other video devices! 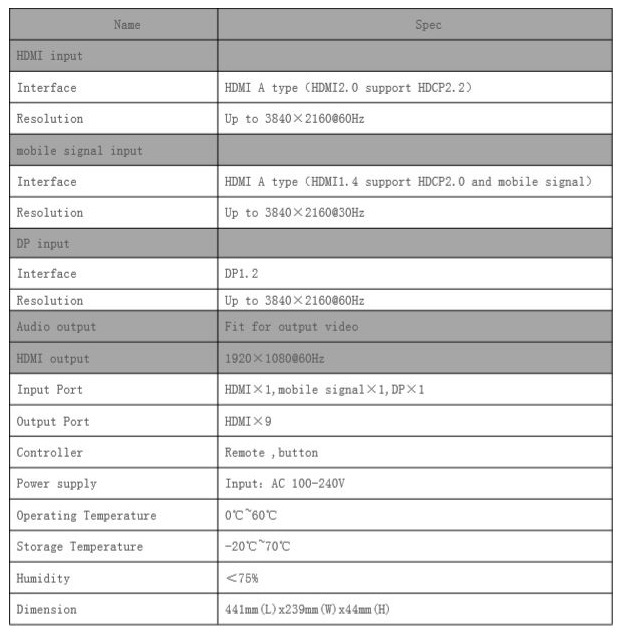 SUPER PC | 9 x HDMI Output Video Wall Controller | Supports 2x2, 2x3, 3x2, 4x2, 3x3, and more! SUPER PC | 2x2+ HDMI Video Wall Controller | Combine Units to create Display Arrays up to 4x4!